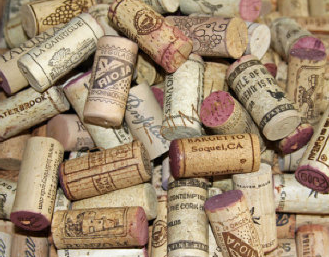 Wine Corks vs. Screw Caps: Which Would You Choose? 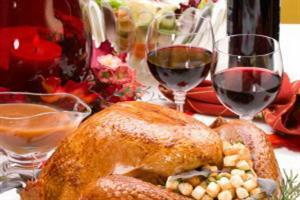 Did the Pilgrims Drink Wine at the First Thanksgiving? Here at Wine Factor we had been hearing Somms and people “in the know” talk about Italy’s spectacular “3-B’s”: Barolo, Barbaresco and Brunello. So what can you say; we had to go to the source and seek out these gems ourselves. We found the Barbarescos to be particularly compelling; elegant, complex, balanced and of course, top of our list – food friendly! They reminded us of elegant Pinot Noirs and Burgundies. If you’re like us and you love Pinots, you will probably also love Barbarescos. The towns and vineyards of Barolo and Barbaresco are found in the Piedmont region, tucked beneath the Alps in Northwestern Italy. Standing in the ancient town of Barbaresco you can actually see Barolo in the distance. 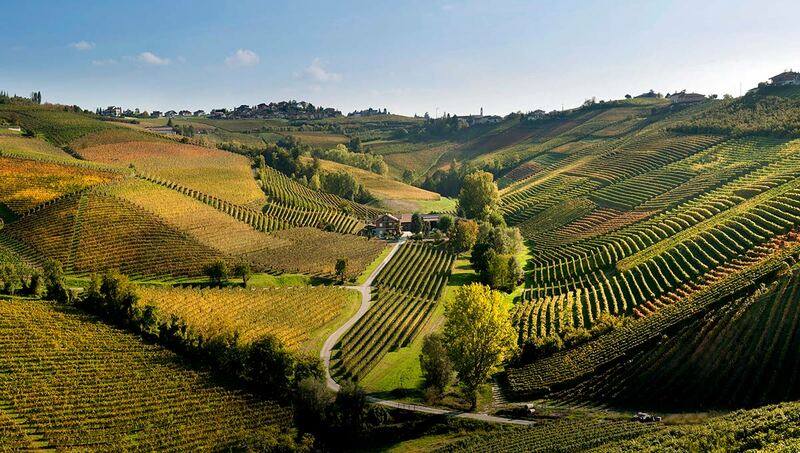 Barolo and Barbaresco wines are in fact made from the same Nebbiolo grape. The difference between the two is the terroir and slight micro climate variations, and of course price! Barbarescos are usually more affordable, and more approachable – that is, easier to drink! With a lower tannin level, they can be enjoyed at an earlier age, but they still have enough acidity to make them age-worthy. There were 4 of us representing Wine Factor on this Italian wine tasting trip, sampling dozens of varietals and wines. But when the tastings were over we would unanimously reach for the Barbaresco every time! Barolo and Brunello wines really need food to make the puzzle fit; not saying that they weren’t spectacular in their own right. It’s just that the Barbaresco is approachable even without food, but transforms like a chameleon with it! The Italian classifications uphold very high, strict standards for the DOCG wines in Italy, including Barbarescos. Many believe they are the best value for high quality wines from the old world today. We could talk about the savory food, welcoming people, and the beauty of the ancient towns everywhere in Piedmont, but it is truly the wines that are most amazing. We’re delighted to have acquired some highly sought-after Barbarescos, Barolos, and Brunellos that are exceptionally high in quality with value in mind. You would never eat a good marbled steak without a marvelous Cabernet – right? Italian food with a good Italian wine is just as stellar! Next time, transform your Italian dinner into a thing of harmony with one of the Italian “3-B’s” from Wine Factor! And give Barbaresco a try – you’ll love it, like we do! It is not often that one comes across such a magical, delightful, almost secret place, but we recently discovered Anderson Valley, California and were absolutely enchanted. 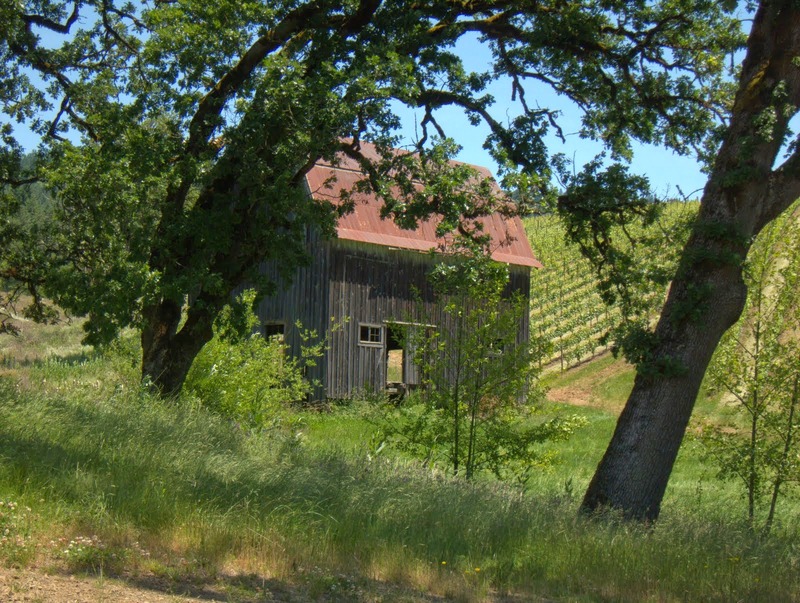 Handley Cellars is nestled at the northwest end of Anderson Valley, in Mendocino County. The first time I was in Mendocino County, I was 12 years old and was deeply concerned about running into Bigfoot. The area’s huge redwoods, steep hillsides, and haunting beauty left a lasting impression, as did the poison oak that covered my body. I made several trips to the coast as an adult, mostly to see family get married on the postcard perfect coastline, but the last thing I thought I’d find there was wine country! 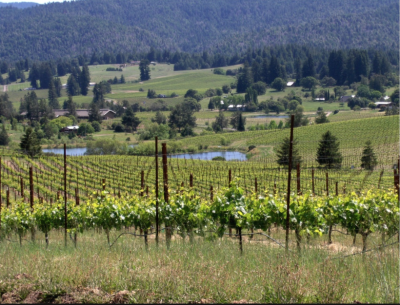 In fact, Mendocino County and Anderson Valley produce some of the premier Pinot Noir and Chardonnay on the planet. It’s a secret! And after experiencing the incredible hospitality and simple farming lifestyle, I hope it never changes; so shhhhhh, don’t tell anyone! The Anderson Valley is an hour and a half drive north of Santa Rosa, and runs roughly West-Northwest to the Pacific coast. The valley is surrounded by ridges that climb as high as 2500 feet above sea level. This produces a dramatic climate effect when the cold sea air rolls in at night and fills the valley with chilled moist air that settles between the ridges. Many of the vineyards are planted on top of the ridges and are exposed to bright sunshine while the valleys below remain enshrouded in fog. This has led to the name “Islands in the Sky” because the vineyards look like green islands floating on the clouds when viewed from above. The temps can swing 40 degrees in one day, and the vineyards at the colder west end produce much different wines than the vineyards at the warmer, southwest end. Single vineyard aficionados don’t want to hear this, but the winemakers at Handley, and a lot of other true “wine artisans” believe that better wine can be made by blending from the different blocks because the subtle variations in exposure and elevation can add a lot to the complexity of a Pinot. Handley Cellars was founded by Milla Handley more than 40 years ago. Imagine what it must have been like to build a vineyard at the end of a 1.5 hour drive on a windy road though logging country, so rural that every necessity had to be trucked in, or done without? Milla’s pioneering winemaking techniques used grapes that fully ripen at lower brix, which produced amazing wines with lower alcohol levels and dynamic, subtle flavors. 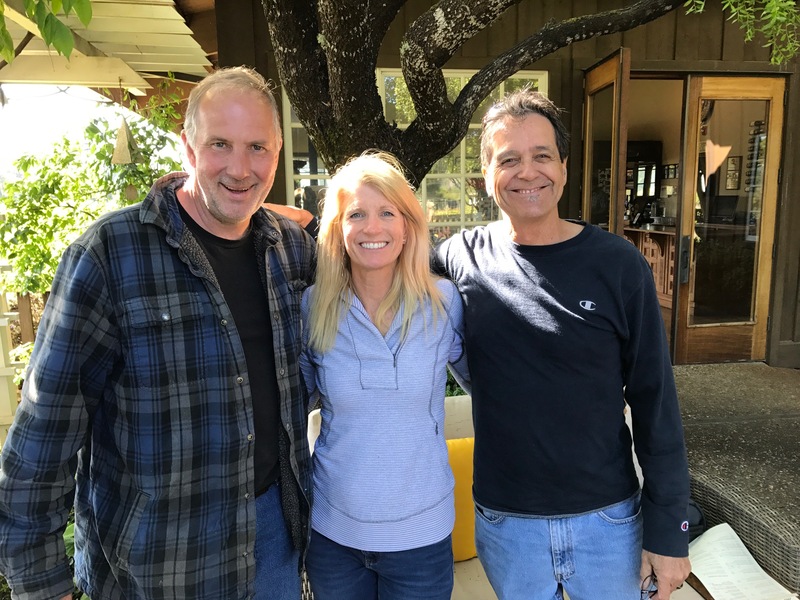 She passed on the magic to her student and assistant winemaker, Randy Schock, who, after spending a decade under her tutelage, is now the lead winemaker after Milla’s recent retirement. We had the good fortune to sit down with Randy and sample some of his amazing Pinots. My first impression of Randy is that he is a farmer, and then an artist. His humble working class demeanor hides the fact that he is one of the most preeminent and talented winemakers in the area. He grew up in LA, graduated from Cal Poly SLO with a degree in agricultural science, and ended up in the Bay Area rooming with friends, looking for direction. His mother’s friend took him under her wing and taught him to appreciate fine wine and cooking, which led him to seek a job in the wine business in Healdsburg. From there he jumped into winemaking and has spent the last 20 years with his hands in the grapes. He admits there is more to winemaking than chemistry, and says it is as much art as science. It took him years to fine-tune the ability to not “over crush”, or press the grapes too hard, so as to not get the harsh-woodiness found in a lot of Pinots. This also helps with the clarity of his wines, so less fining is needed. What he loves about Handley’s Anderson Valley location is that the acidity he gets from his fruit is the key to the beautiful color of his Pinots. The higher the pH – the darker the Pinot. “There’s no shortcut to exposure to wine,” he says. “You have to think outside the box. I push my wines, and like my kids, sometimes they push back.” Randy is referring to his custom, post-fermentation technique of adding back a layer of lees on the bottom of the barrel, then introducing a heavy dose of SO2 to stop the fermentation and stabilize the process, which breaks down the cell walls and creates the creamy mouth feel, without high sugar. At this point I just kept nodding like I understood what he was talking about – but the proof is in his wines, which are delightful! I can’t say enough nice things about the wonderful staff at Handley, their hospitality, wonderful wines, beautiful tasting room, scenic locale, and their crafty, unique Pinots. (If you go, be sure and try the Chardonnay too!) 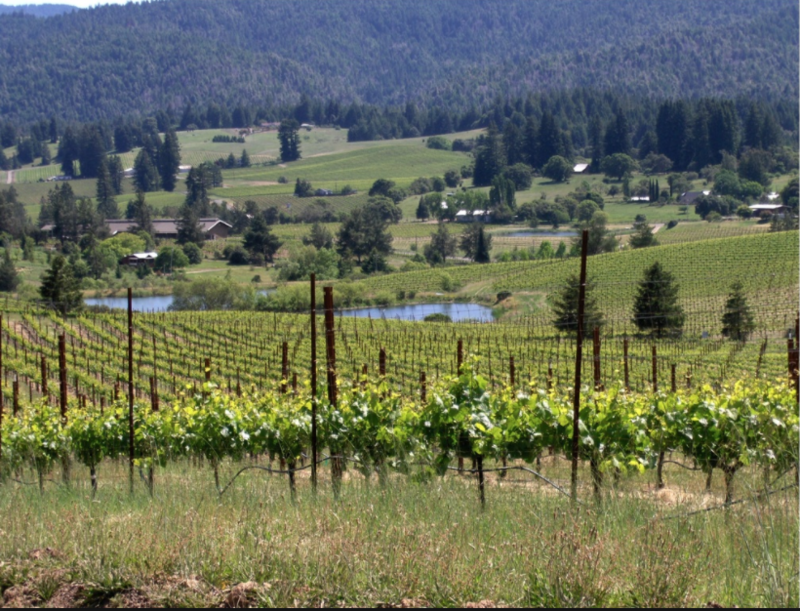 If you find yourself the wine country, take the road less traveled and treat yourself to a visit. Or, if you don’t want to drive 1.5 hours through the redwoods, order your Handley Pinot Noir at www.WineFactor.com today! How many of you who have wine collections actually have wines in them with screw caps? Please… let us know! At Wine Factor, we have sampled very good balanced exquisite Pinot Noirs from New Zealand and a couple from the States with screw caps that were of the quality to add to our wine lists (see more). There is an ongoing debate about the feasibility of offering high quality wines with Stelvin caps (the correct terminology for wine screw caps), the brand now owned by Amcor. 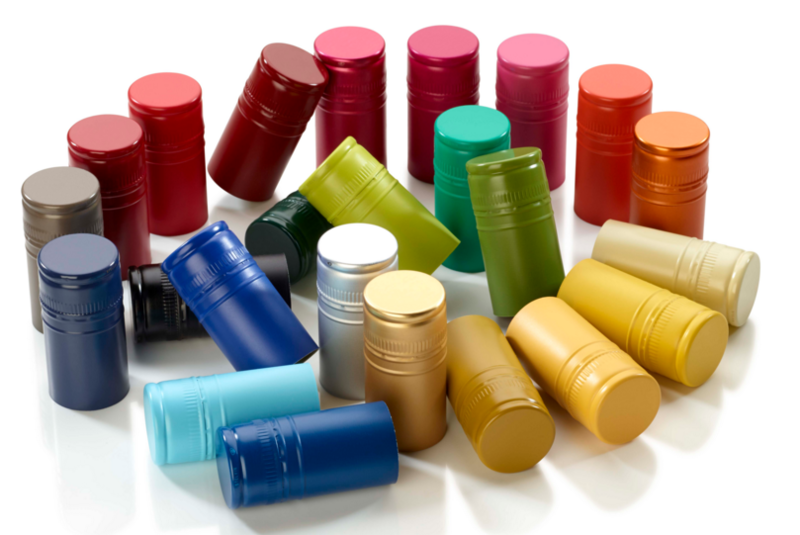 The caps have an elongated outside skirt, which resembles the traditional wine capsule or foil, and uses plastic PVDC (Polyvinylidene chloride) to act as a neutral impermeable liner. A little history; Stelvin caps were first introduced in the 1970’s when there was an outbreak of “cork taint” in Europe which brought the alternative wine-stopper into the public eye. The Stelvin Screw caps met with customer resistance in New Zealand and Australia, and were phased out in the early 1980s, only to be reintroduced gradually in the 1990s. Now, since reintroduction, there has been an increase in the numbers of wineries utilizing the screw cap in those countries, but mostly because of the difficulty in obtaining quality corks and costs due to tariffs etc. Allegedly, 3 to 5 percent of all bottles with corks have shown some degree of spoilage over 5 years. One of the culprits is trichloroanisole, commonly known as TCA. This complex chemical comes from reactions within corks, which involve natural molds and the chlorine bleach used in cork manufacture (or found in the winery itself from poor hygiene). But the fact is that many wineries are extremely conscious of the cost of their corks, thus the poor quality cork choice comes into play. Wine corks can cost anywhere from 5 cents to 50+ cents for the best quality and a large percentage of wine corks used are not anywhere near highest quality. Preventing spoilage in wines stored over 5 years with poor quality corks can be a challenge. The good news is there has been a significant increase in quality in the last 5-6 years, in that the cork manufacturers in Portugal have put forth strict requirements for quality in cork production. Also there has been a huge headway in the production of quality synthetic corks as of late. Cork producers have changed from bleaching the corks from hypochlorite to using peroxide bleaching, thus reducing a large percent of the cause of TCA. Some wineries including Plumpjack Winery, Bonnie Doon Vineyards and others have embraced the Stelvin cap on their reserve Cabernet Sauvignon and white wines, but to date there is still resistance in Napa, Sonoma, the Central Valley and Willamette to their use in quality Cab and Pinot Noir bottles. The Stelvin is super inexpensive. There is no gas exchange so the wine can’t spoil as easily as those with corks. Less loss of inventory from wineries and retailers. Susceptible to easily dent – thus breaking the seal. Oxidation reduction can lead to reductive characteristics, including sulfur odors and tastes. In age-worthy wines, (like all the wines found on Wine Factor’s web site winefactor.com) the need for natural oxidation or the “breathing of the wine” through its capsule is a must. We want it to age, not sit in a time capsule! 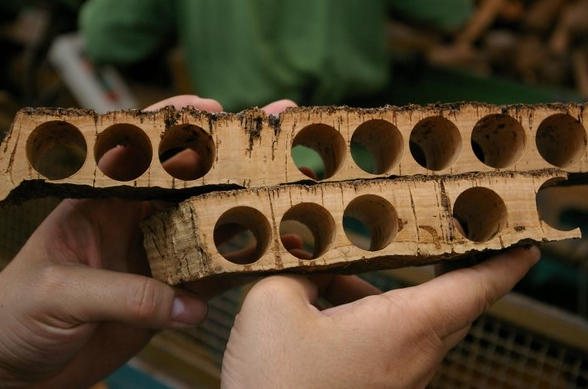 Corks are a renewable natural product – Oak Bark. The tradition and presentation of opening a wine with a cork is superior to the metal grating sound of opening a Stelvin cap at the table. Ok, we might be a little bias towards the natural cork, but that doesn’t mean you have to be. Let us know your opinion! I think it’s pretty safe to say that most Americans enjoy wine with their Thanksgiving feast. (We at www.winefactor.com are especially partial to Pinot Noir as our go-to wine for the holiday). Have you ever wondered if the Pilgrims drank wine that day? Unfortunately there is no clear documentation about what they ate or drank, but there is enough information to speculate. First a little background. The Mayflower was a cargo ship used for transporting wine and other goods between France and England. It was capable of carrying 180 casks of wine. However, when it was commissioned for the trip across the ocean to the New World in 1620, there was not much room for wine. Take into account that there were 130 passengers squeezed onto an approximately 90′ x 25′ ship! They spent 66 grueling days at sea before spotting land on November 9, 1620. It is documented that one of the reasons they decided to stop where they did was because they were almost out of beer! (No mention of wine – if there was any on board when they set sail, it was probably gone before they lost sight of England). God forbid they drink water – everyone knew that plain water was poison! (And so it was back in their home country). The Mayflower was their home through the first winter in the New World. If there was any beer or wine unconsumed after the voyage across the Atlantic, you can bet it did not last long in that cold, dark winter on board the ship. Earlier settlers elsewhere in the New World had tried to make wine from the native grapes they found in America, but the taste just didn’t cut it for them. So the Virginia Company exported French grapevines to Virginia in 1619. Sadly, not soon enough to bottle up a vintage for the big feast up in Plymouth! So it makes sense to conclude that, sadly, the Mayflower Pilgrims did not drink Pinot Noir or any other wine with their Thanksgiving feast. Some people are pretty sure that the Pilgrims and their Native American friends drank hard apple cider during their celebration. A pity, if you ask me – a celebration as important as Thanksgiving deserves a great wine, like Pinot Noir! good Pinot Noir tastes like. A California Pinot Noir, that is. Then Pat Hurley turned me on to a Coeur de Terre 2009 Estate Pinot Noir and my whole world changed. That’s a great Pinot! And it didn’t taste a lot like the rich California Pinot Noirs I’d been drinking. What I knew about Oregon Pinot Noirs could be written on the end of a cork. I found out that the Willamette Valley produces Pinot Noirs in the Burgundian style, which means dryer, more acidic, less sugar, and less alcohol than your average big bomb Russian River or central California Pinot Noirs. These are wines with finesse, with layers of delicate flavors of cherry, wood spices, and minerals. So we planned a trip to the Willamette Valley to taste real Oregon Pinot Noirs. Getting there was easy. A quick hop on Alaska Airlines and we were there in a couple of hours, rented a car, and in less than an hour we were deep in Pinot Noir country, the Willamette Valley AVA. After sampling about 40 different Pinots from 12 different wineries in the Willamette Valley, I was impressed. The 2010 Pinots are just starting to drink well, in my opinion. The 2011 and 2012 vintages showed great promise, but were still young. These wines are only 12.5% to 14% ABV (alcohol by volume), mostly closer to 13%. Compare that to a popular “drink now” California Pinot at 14.5% or 15% ABV and you will taste the difference immediately. The lower alcohol means less sugar, which allows the tannins and the other nuances to show. And you can really taste the terroir. If I had to sum up the taste of an Oregon Pinot in one word, it would be “soil”. Most Oregon Pinots will age gracefully for many years and will just get better and better. Pommard, and Wadensville, with a few other varieties thrown in for flavor. Scott runs the winemaking, and they make magic with their Pinot Noirs. you get the chance to enjoy a bottle soon! The 2009 Coeur De Terre Estate Pinot Noir is available now, and the 2011 will be available in July 2014 at www.winefactor.com!